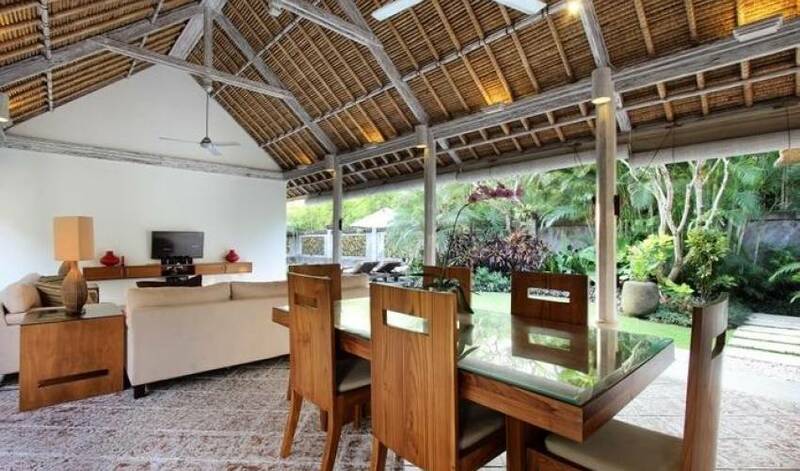 The villa is designed to provide holidaymakers with a secluded sanctuary while at the same time, offering the convenience of being close to the beach, famous restaurants, nightlife locations and countless shopping options. Located near beach, shopping and trendy cafe, and nightlife locations. 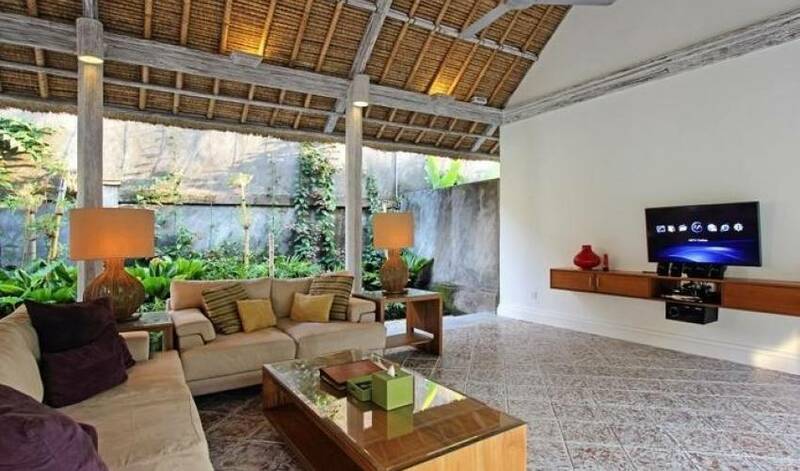 It is a fully appointed 3 bedroom private rental villa, staffed and ready to provide personalized service to ensure your stay is memorable. 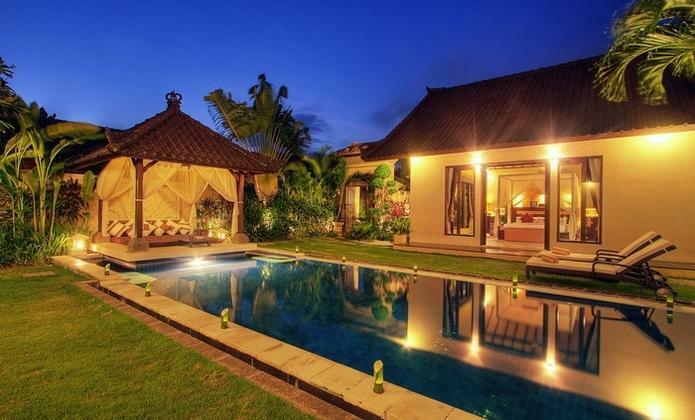 The villa's living and dining areas overlook a large pool and the garden, which creates a great natural ambience for both day and night. Designed and decorated with Balinese modern furniture throughout, as well as a variety of local artifacts, the villa is a perfect choice for your island getaway. 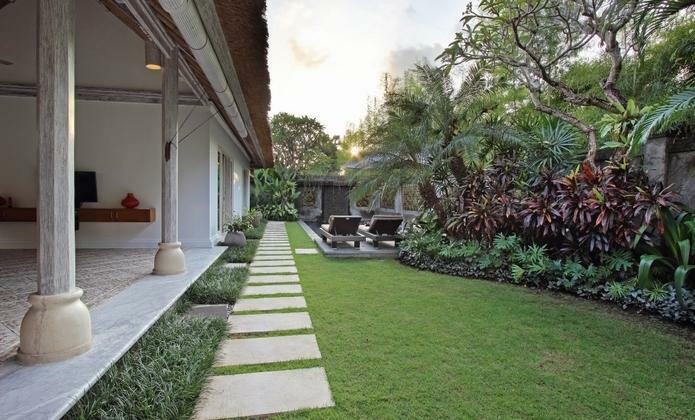 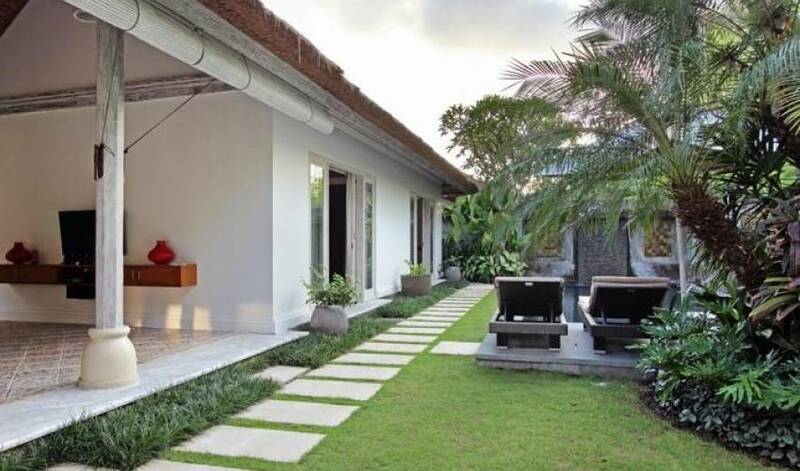 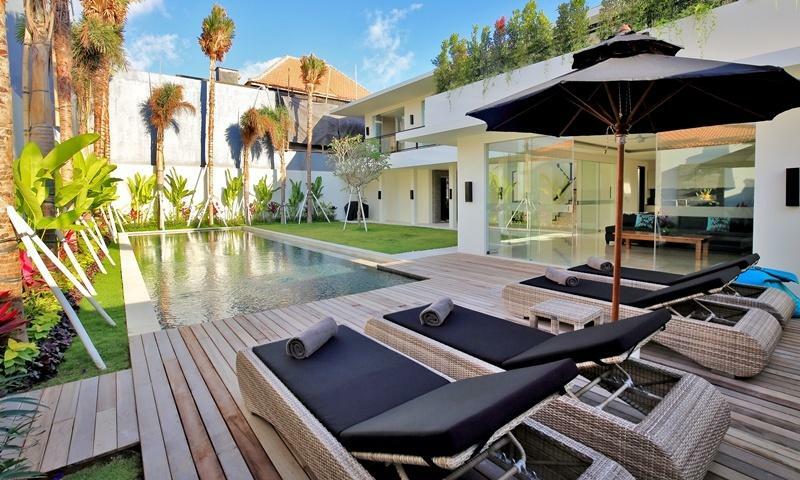 Furthermore, the villa is located in the heart of Seminyak making it convenient to explore the famous tourists allures and bustling nightlife. 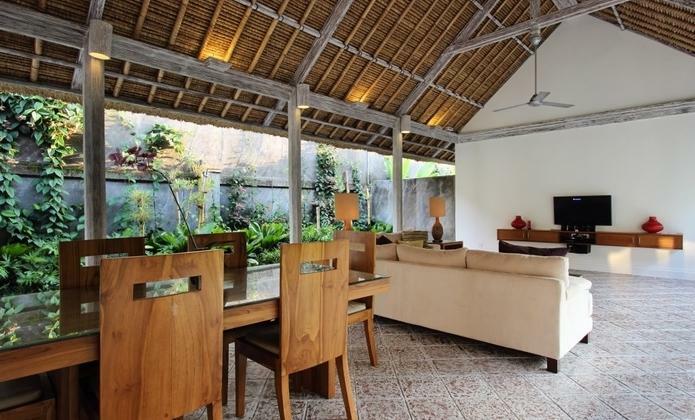 Famed venues and restaurants such as Sardine, La Luciola, Merah Putih, MamaSan, Ku De Ta and Sarong are all close to the villa. 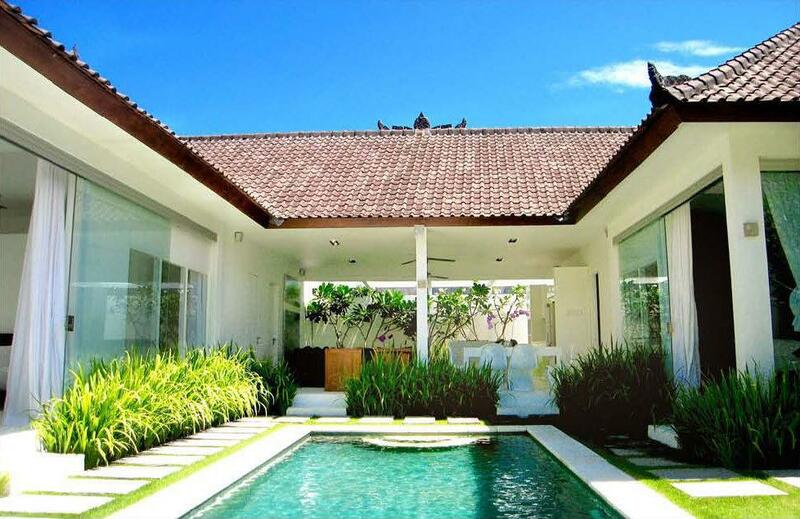 The villa's 3 private bedrooms are not only equipped with air conditioners, ceiling fans and either Queen or King size beds but also with the view of pool and garden. 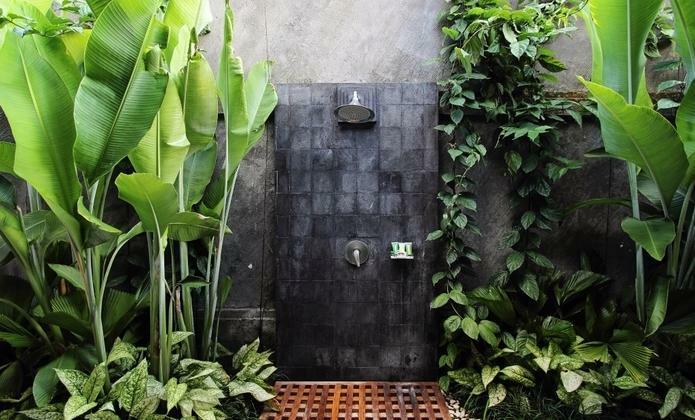 In addition to high quality furniture and modern utilities in all en-suite bathrooms, the villa's raindrop showerheads, with with a special bathing experience as though you were bathing under the falling rain. 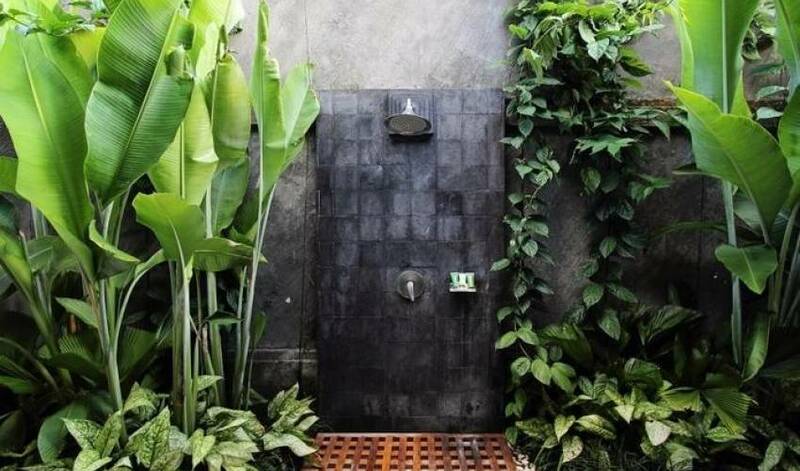 There is even a bathtub for those who enjoy long relaxing baths. Balinese Contemporary design contrasting with the traditional Alang-Alang thatched roofing will surely remind you of an idyllic island lifestyle during your stay. An additional tax of 21.0% will be applied.